The year 2018 still has a few months, but the racing season is over. Due to insufficient time, I only started at some events. In the following lines, there is once again a short preparation of my season. The season started on the easter weekend at the Hockenheimring. Here I raced together with Henrik Müller and Uwe Geist at the legendary 1000km of Hockenheim, which was also the first race of the DLC series. In the qualifying, there was a tragic accident in which a rider crashed and succumbed shortly afterwards to her injuries. My deepest sympathy goes to the family, friends and the team. In the course of the time training, I rode a few laps to put off the winter grate and the one year without riding. I managed this reasonably reasonable, but I noticed a noise in the bike and could change the gears worse and worse. Then in the pit it turned out: A part in the transmission has passed, the race seemed to be over before the start for me. Fortunately, the team Triumph Rheinhessen around Marcel Schmidt had the right part. However, it turned out after the we fixed it that it was an accessory. While this fitted during installation, it did not reflect the function of the components. The qualification was now part of Henrik and Uwe, in which the 41st starting position of 68 teams jumped out for us. In the race we split up for the stints. Fortunately, I was allowed to ride the Kawasaki ZX6R of my teammate Uwe. With a few unscheduled pit stops, we lost a lot of time and thus any chance of the podium in the 600 class. In the end we finished 8th out of 15 (total 34 out of 68). You can watch the photos of the event » HERE «. I competed the 6h race at the Sachsenring in the best weather together with Uwe Geist and Thomas Knandel. In the early morning we had the qualification for the race which was held later that day. Thomas and Uwe got to know the track and I set the time for the grid. We entered the race from start position 28 (out of 45) for the race. Unfortunately, there was a minor incident in which Uwe was ridden off his bike by an other rider. Luckily he was able to start and on his bike only small things were needed to repair. In retrospect, it turned out that Uwe had broken his finger. However, he rode the race brilliantly! My full respect to him at this point! Thomas did the start and was able to make up a few positions. After the first pit stop i did my turn and was able to pick up to 17th. Uwe held the position in his stint and then handed over to Thomas as planned. But then it happened: He suddenly lost oil and Crash output of the omega corner on his oil. He broke his arm and his thoracic vertebra. Meanwhile, everything is healed and he is fine. After we got the transponder back, Uwe and me rode together to finish the race. From 36th position, we reached finally the 28th place. Except for the two incidents, however, I was quite satisfied with the race, as we were able to show great potential. You can watch the photos of the event » HERE «. At the Schleizer Dreieck I started in the Triumph Challenge. In this racing series there are only Triumph motorcycles (675ccm) allowed, the starter field usually includes more than 40 starters. Both qualifications went smoothly, but I was a little more cautious due to an oil spill that was being laid around the track. From 4th grid position, the finish was clear for both races: Podium! After a bad start, I had to fight back from 12th place and finished in 6th Position in the first race. The lap times would have been enough for the 3rd place. It meant working on a better start. I succeeded in the 2nd race and came back on start-finish in 4th after the first lap. But first I had to defend myself against a rival and the point had opened up a gap to the leaders. This I laboriously closed gradually. The 3rd place was within reach. In the penultimate lap I wanted to start an attack, but i missed a gear on the brakes and had to go far. It had become the 8th place at the end. A Pity! The racing series is well organized, everyone respects and helps each other. On the track nothing is given to you! That screams for more in 2019! You can watch the photos of the event » HERE «. The weather should hold some surprises for Frohburg. On Friday there was heavy rain shower after heavy gusts of wind, which should clean the track. That meant being careful on Saturday morning. I, like everyone else, rolled in and found a rhythm quickly. In the second qualifying session I set a few times, which should only be enough for the 18th place in the starting grid. In addition, we had the wrong gearing, which resulted in too low top speed. In race 1, after a bad start, it came back from lap one to start-finish on 20th position. Until the end of the race, I was able to overtake rival to rival back and finally rode through the finish in 15th place. On Sunday I wanted to do better than in race 1. Due to the weather change from sunshine to constant rain coupled with low temperatures, I skipped the start for the second race and thus remained without result. However, a good half of the starting grid was the same as me and did not start. You can watch the photos of the event » HERE «. Due to the few races that I rode this season, the results were below my expectations. However, the bike was in a technically good condition and will be well prepared for the season 2019 to be able to carry a race series I know. More for the new season follows in the next post. Finally, I would like to thank all supporters, sponsors and patrons who are always at my side and allow me to do this amazing sport! P.S . 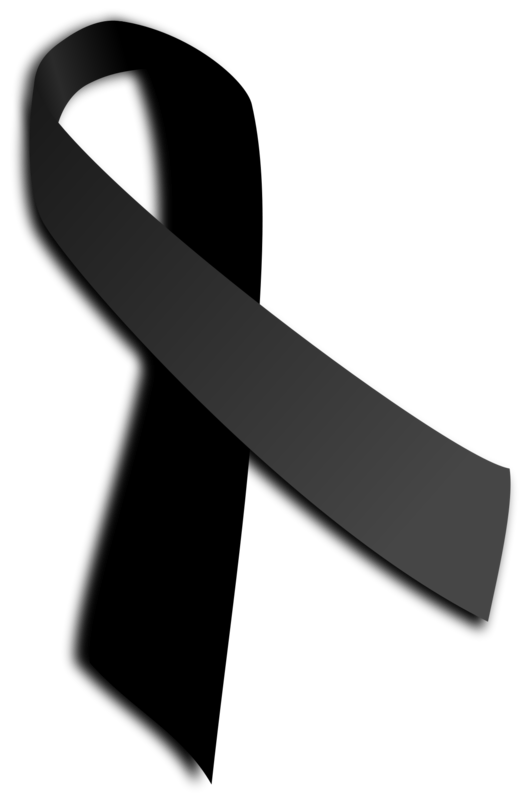 : Tragically, a friend and sponsor of mine passed away this year. I would like to thank Hansi Michel again for everything he did for me! He was a very nice, attentive and reliable person who left us too soon. I wish my deepest sympathy and condolences to his relatives and friends. Bye, Hansi. The 54th Frohburger Dreieckrennen was once again a successful event with many riders in all classes, the nicest weather and a lot of spectators. On the Friday evening we built up everything in the paddock and prepared for the first practice which should take place on Saturday morning. 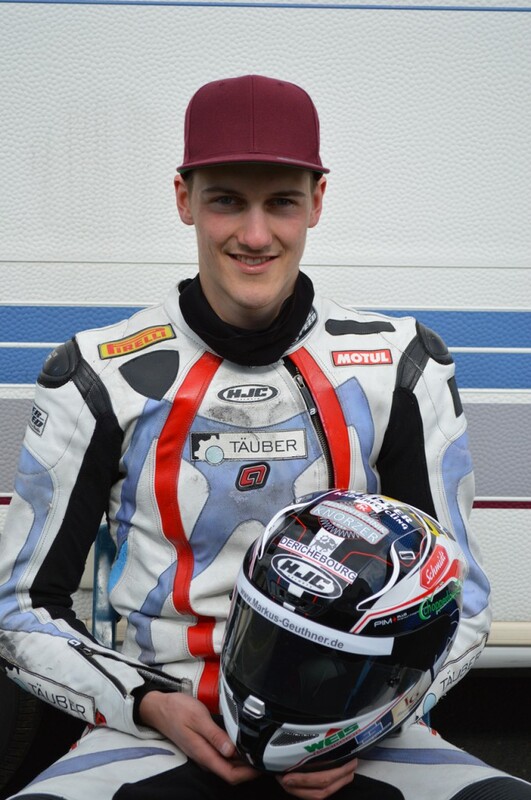 A friend of me, Pascal Lenz, had broken the collarbone 2 weeks ago and could not race in the class 1 (Supermono). He came up to me and asked me if I would like to take the place on his motorcycle for him. We managed everything and therefore I became the double starter in class 1 (Supermono) and class 3 (Supersport Open/STK600). On Saturday morning the day started with the first qualifying from class 1 and I had to get used first of all to the Suzuki Gladius of Pascal who has only about 55 HP. Many other riders had more than 100 HP machines. Still I succeeded in having quickly a good feeling for the motorcycle and the laptime became better from lap to lap. However, these were still to a few wet places on the tarmac. I finished the Quali 1 on 7th position with which I was very happy of course. Then in the Supersport Practice 1 I had to change on more power and I tried to keep the rhythm. With the 8th position I managed this also rather well. Both qualifying’s took place directly on each other by which I had to “jump” from motorcycle to motorcycle. The 2nd practice were delivered under clear conditions and I improved my lap times again very much. In the end, these were, unfortunately, only the positions 11th in class 1 and 16th in class 3. In the races it had to go clearly forwards! On Saturday afternoon the first race of the Supermonos was held under perfect conditions. After a good start I hung on a threeman group which I could follow for a while, until the battles began. 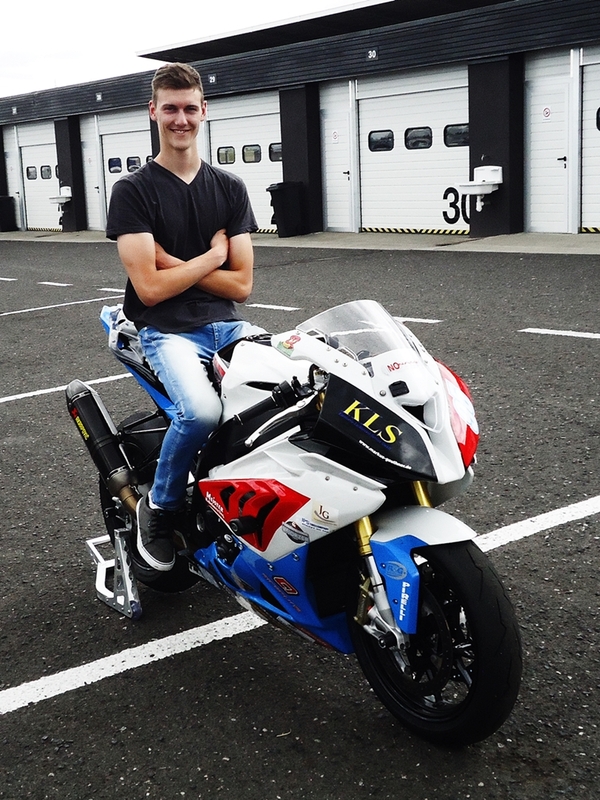 The last year’s Suzuki Gladius Champion Kai-Uwe Lenz, went only half a second faster per lap. With it I was relatively contented. After a great fight I finished in 9th position. In the last lap I was able to break later than the other rider. At race 1 of the Supersport’s I also got a good start, but still lost some positions. Unfortunately, there was in the first corner, directly beside me, a crash where 2 riders went down. The red flag came out quick and the race was shortened from 10 to 7 lap distance. I had a better start than before and came away from the spot. In the end I finished in 11th position. The lap time was strongly improved again. However, for the 2nd race I wanted to become quicker once again. But first the 2nd race of the Supermonos was held on Sunday morning. With an excellent start I hung directly on Lenzers back wheel on the 7th position. Unfortunately this didn’t held long, because there were many overtaking manoeuvres already in the first lap. I had to fight again with the riders from the first race and position 5 and 6 ran away. I wanted to secure the 7th position what developed as very difficult. In the meantime I brought up a gap of 1,5 seconds. However, this was ruined by a short speed limiter and enough lee. In the last corner we both braked on the last groove, however, I wanted to take more speed with on the start-finish line. Unluckily, he went wide and I didn’t moved through. I finished on 8th position. For the 2nd race I wanted to give once again everything! From the beginning I was in the top Ten and attacked on the front places. However, in the corner “Grauer Wolf” I was too late on the brakes and I had to go wide after some big slides. I went down a small hill and I had to get up on this very quickly. With big remains on the field I started to regroup. I rode the times like from race 1 consistently and quickly I made good ground and above positions. At the end the 15th position jumped out. Because of this I was not contented of course, nevertheless, a top ten result would have been possible. At the upcoming weekend it goes for the last time in 2016 to the racetrack, which will be at Oschersleben. There the Biketoberfest takes place. At this point I would like to thank my sponsors so much for their engagement and the great cooperation! The Pictures of the Weekend you can see » HERE «. The next news will follow after Oschersleben. Because of no further work with Vedo Racing, we have decided to plan for 2017. Then upon we were looking for ways and came to the conclusion to get a Triumph Daytona 675 R. The bike has been built racing genes and the finest components in series. She is an extremely lightweight and agile, but also very powerful Supersport machine. Photos from the motorcycle you can see » HERE «. The first test was already completed. Because of the nice weather i was doing a lot of tries with the bike over the complete day. Now i got a good base and the bike is running without any problems. I understand now even more the bike and the workingwise of it. Now, the final preparations for the upcoming “54th International Frohburger ADAC Dreieckrennen” in a week are going underway. Anyone interested is very much welcome. 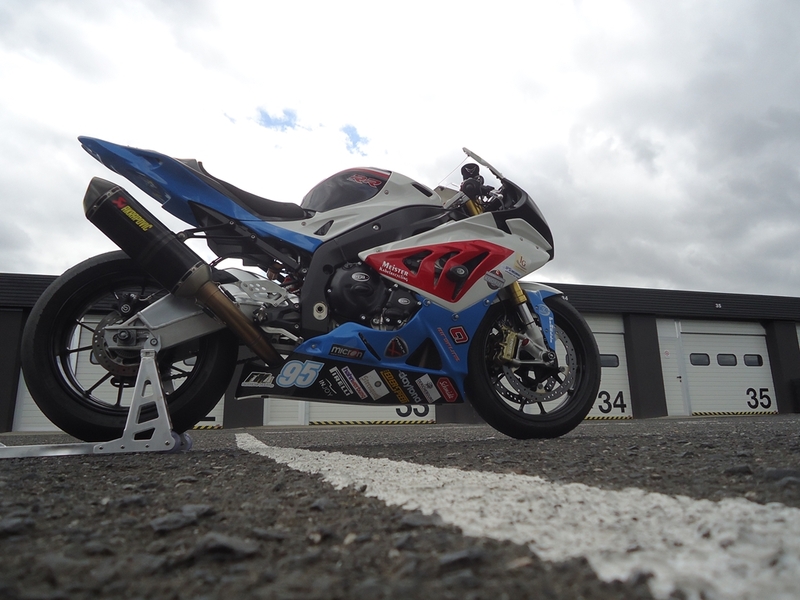 It will offer a lot, such as the launch of the TT-Stars in the Superbike class. 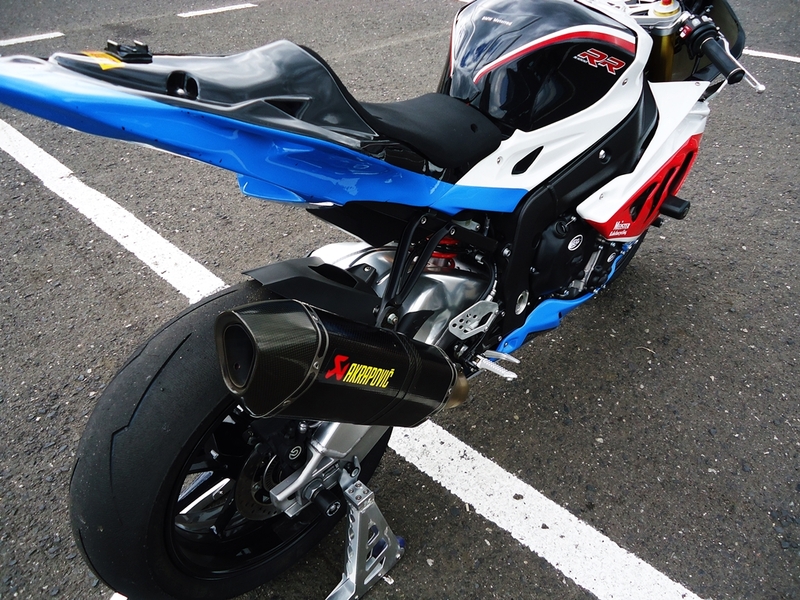 I will start in the class 3 (Supersport). For more detailed information’s click » HERE «. The next information will follow after the race weekend. So, stay tuned! on the last weekend was the DLC Championship held in Most, Czech Republic. The weekend began for me on Friday, where I could a few turns riding to curl. The weather was very good and I came very quickly in a good rhythm with the bike. We tried one, two things and were pleased with the day. Saturday was for me a racing Free day and I helped my team and took a little under the arms. Sunday: Normally for the Sunday evening the qualifying over 45 minutes is planed. Due to the falls (more race crashes) and weather conditions could not be done that way. In Moriwaki Cup, there was a heavy fall and a rider had to be flown by helicopter to a hospital. He has some bone fractures but he is as far as well. In other races, there were also falls and fractures. Also in the evening came a short rain shower, which meant that the races were canceled and also our qualification. That meant, on Monday (race day) was 9:00 qualifying time.I rode the first run on the track and I tried a fast lap. This unfortunately did not succeed. It was a lot of traffic on the circuit. In addition there were a few falls and yellow flags. Temperatures were with 8 degree air also not very high. I came back to the box and gave to Peter and Rico the bike. The two managed no faster time and so we qualified with my lap time as 19th of 35 starters. Rico then told us he was feeling not well and that he could not race. So we decided nevertheless for the start of the race. I was the starting rider and naturally wanted to make up a few places. First of all, there were already 3 falls in the out lap from the pit lane in the starting grid. In addition, it began with a slight bit of rain. A small fluid stain came in a cornre and was not eliminated. After 10 minutes delay the race was started. The Le Mans start (all riders are faced with the motorcycles and run towards them) I managed well and after the first lap the Tablot saw me in 10th place! This I could long keep up but then the bike performance lost from round to round in a few passages lost. I unfortunately came earlier to the box and it was refueled. Peter went out then, however, came after 15 minutes by car back again. The bike was off. The error was quickly found and so I went back out on track. This time I could ride my full turn. We had at this time the position 27th. I rode my laps in a row and overtook many riders. Then I handed back to Peter. After a few laps he was unfortunately again in pit with a problem. Through a little misunderstanding, I am then went out again and got through the turn. After the scheduled change to Peter, he rode without trouble his rounds. Suddenly came the safety car on the track and we have not seen Peter. He and another rider went down. Fortunately, both remained more or less unharmed, but our Kawasaki gets bad. The frame was damaged and a few other components, which made it impossible to guarantee continued riding. Thus, the race was over after about 4 hours for us. It was very tiring, which turns to riding in such a short time with small breaks. It was still very good to ride and it was quit a lot of fun. A huge thank you to all my sponsors and supporters. In one week, the Schleizer Dreieck held and i hope to get the wildcard via ebay and betting! The photos of the race weekend in Most is »HERE«. The next information will follow soon. So, stay tuned! Now, finally, the racing season started on the past weekend in the Motorsport Arena Oschersleben for me and my team colleagues of the Vedo Racing Team. Before we were in the cold, Czech Republic für some testing. It was a good roll out and also nice to accustom the motorcycle. Further more parts were sorted out and tested. The bike was adapted on us 3 riders (Rico Vetter, Sebastian Frotscher and me) and some laps were unwound. Unfortunately, the temperatures were very low, which was the reason why I took no high risk with the riding. Then on Friday we had some free practice in Oschersleben. I rode myself in my rhythm and got used again quickly to the riding on the motorcycle. We had all weekend long nice weather. I rode the whole Friday with the sparebike and also one turn with the first bike. Everything ran so far well and my speed was rather well-arranged. Then on Saturday the Qualifying was on the plan. We had only 45 minutes of qualy to get a quick lap in. This sounds like we will had enough time for a good lap. But each rider would had only about 15 minutes for a run which was around 3 to 4 laps. There were also a lot of slower bikes und lots of traffic on the track. Rico went out on track as the first to the do a laptime and presented a goodone which should also remain the quickest one of the team at the end. As I said there were a lot of traffic on track and this complicated to be able to put down a good lap. Now Sebastian went out and rode a few laps. I was the final rider and, unfortunately, I had some bad luck with a red flag and the practice interruption linked with it. I had another 2 laps and I did almost the time of Rico. Unfortunately, I did not come in the short time to my rhythm and I was disappointed a little bit that did not go any more. But it should come much more badly. With start place 13 from more than 40teams was still possible much. The timedistance to the point was low and wewere very confident for the running. On the race day (Sunday) the race was started at 12:30 o’clock. Rico and Sebastain did on the weekend still successfully two 600th runnings. Then Rico went out as the start rider and could get the 12th place after the legendary Le Mans start. I was the second rider and prepared myself on my application. Rico came a little earlier than expected to the box,however, went directly in the garage and reported a problem with the gear change and power loss. The mechanics tried everything and sent him after a few changes once again out on track.Unfortunately, unsuccessfully. First everything went well but then the gear has not switched any more and the bike had out of the corners no power on the back wheel.So our race was finisched after only 28 laps. Everybody from the team is very disappointed, but this is enduracne racing… Everything was checked before again but something can always happen. We hope for more success at the next meeting which will take place at the Autodrom Most. On this circuit we will have also a test between the races to get prepared. I’d like to thank all sponsors, teammembers and supporters who allow all that! Thank you very much! To see the photos from the weekend click » HERE «. Up to the next update! Choppertouren.com is my new Sponsor! 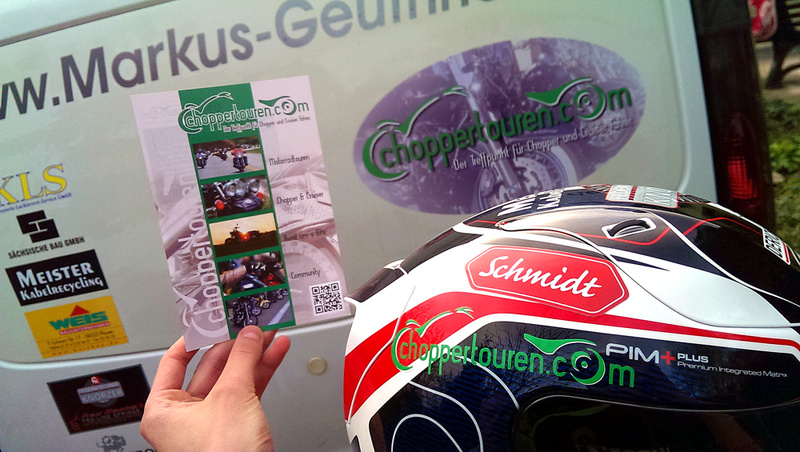 I’m glad to can announce that Choppertouren.com will support me now. 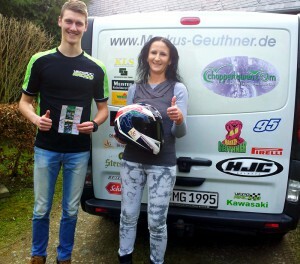 Katrin and Rainer Kohl are eager motorcyclists who are strong involved in this area. Take a look to their website! Click on the link » HERE «. A mega thank you for this! Stay tuned, the report from the first round at Oschersleben is coming soon! The winter break was used by me to negotiations for the season 2016 and I could agree with Vedo Racing on the application in the DLC and the EWC in Oschersleben. Together with Rico Vetter, Sebastian Frotscher and Peter Domke I’ll ride the Kawasaki ZX10R. This bike is built up on the standards of the Endurance and is optimised in many points. 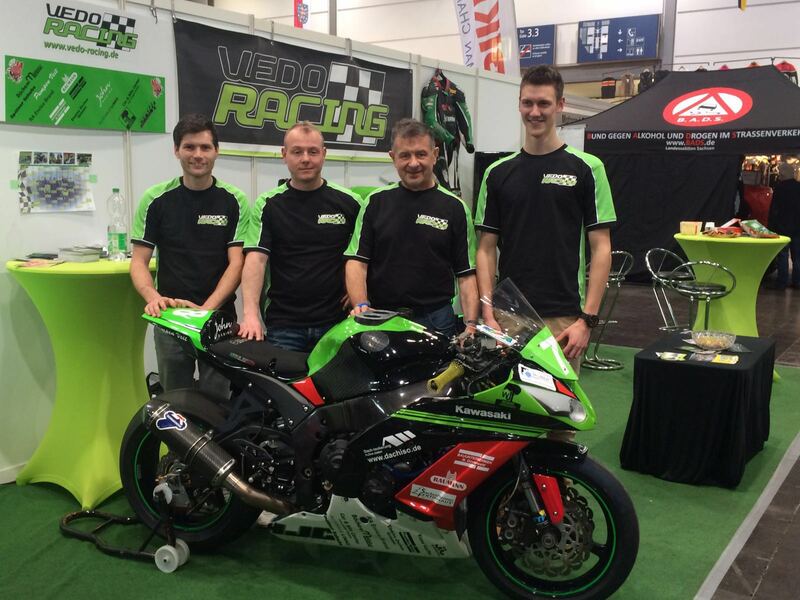 On the past weekend the team presentation took place on the Motorbikeshow in Leipzig. Many fans, sponsors and friends went past and were quite curious about our plans in the coming season. I can’t wait to get on the bike and do the first roll-out what will be dependent on weather, unfortunately. Still we will try to be able to turn as quickly as possible the first rounds on the new motorcycle. You find photos from the Motorbikeshow Leipzig » HERE «. Further more I will try to do some wildcards in different racing series. From 26.09.-27.09. the 53rd Frohburger Dreieck race held near Leipzig. It was as always very well attended and also strong competition was at the starting grid. Stars like Lee Johnston, Michael Rutter and Gary Johnson did a wildcard there. We arrived on Friday and already could even go on the track. Qualifying was then Saturday morning and midday. It was, however, very streaky! In Q1 we had just 2-3 relatively dry laps until it started raining too heavy. It was very difficult to gofast, because you did’ot saw the wet spots on the track and it was very slippery. I was at this time in 20th place and had a lot of room for improvement. Q2 began still wet and lap after lap it started to dry up more and more. The racing line was wider and the times tumbled in large increments. Finally, jumped out a 15th place for me. For the race, I was confident and motivated. Race 1: 09:00 clock was Race 1 started. After I was able to keep my place in the first corner, a rider crashed a short time later with about 150 mph, the race was stopped a short time later. The restart then went less well for me and I lost a few positions. Then I wanted to start catching up, the race was stopped again, a motorcycle was unfavorable on the track. At the end it was a disappointing 16th place place. Race 2: 13:40 clock was started the 2nd race and I was able to work forward. At the end a 12th place was the result. So I was quite happy. The weekend went relatively conciliatory and the season had still a little highlight: The long-distance race at Biketoberfest in Oschersleben. It was Saturday morning, still very fresh and with 4 ° C Asphalt temperature the grip was not very good. At noon we had enough of two qualifying under good conditions and sun. Unfortunately, those were the only two turns of the day. There already some races were ridden and a few spectators were on site. On Sunday was the day of the race and I started in the warm up with a good feeling. In the afternoon the weekend was completed with the 1 hour endurance race. I choked my bike up and the field and was up and away. I pulled over again and overtook in the first lap a few riders. I could then always continue. I quickly found my rhythm and was constantly drive my times. My handicap was my single start. So I had to pit and refuel, because at least one stop was mandatory and I still needed fuel. This then went 1st and 2nd place by again, which I unfortunately was not able to catch up to the finish line. Finally, jumped out a 3rd Place and thus the end of the 2015 season was ushered in. Photos colors of the weekends you »HERE«. Now the season 2016 is in the planning and we will look at what is going. I would like to take this opportunity once again to thank everyone who supported me in the 2015 season! Many thanks! 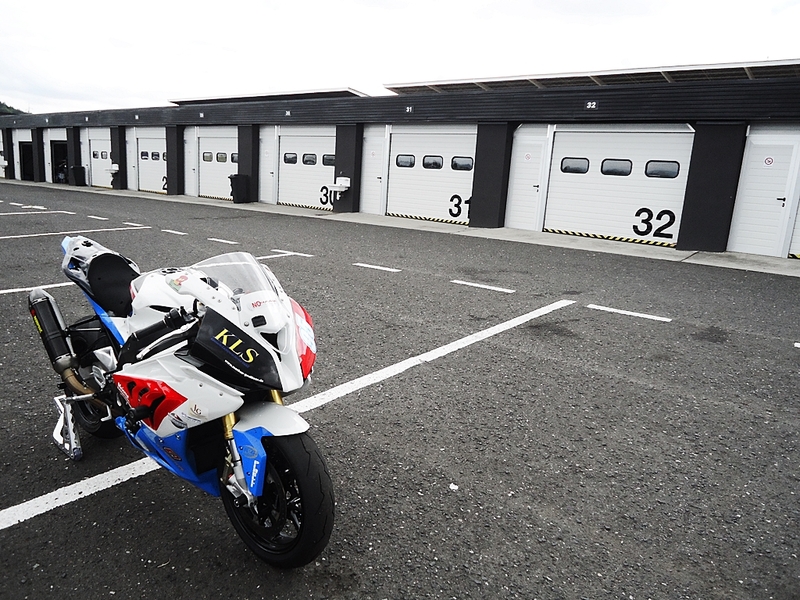 At the last weekend the 4th DRC race meeting held at the Hockenheimring – IDM course. I trained here pretty well and tryed many things on the setting. The weather conditions were very warm with 30-35 degrees and the tires had to be taken to the edge. I tested for the first time the Bridgestone tires and had promptly a good feeling and a lot of feedback from the front wheel, which I had been a bit missing at the Pirelli. Because of the brand changing we had to modified the suspension also multiple. Likewise, the tires react sensitive on tire pressure changes. But I think I’m on the rightway. This also showed the lap times. In Qualyfing then I stood on the 7th gridposition, which was a good starting position for both races. In front of me stood a few IDM pilots who took advantage of this weekend to prepare for their races in 3 weeks. The warm up was without complications and I had a better feeling than on Saturday. In the first race I got off to a mediocre start, but found in the first two laps not quite the rhythm and had a few opponents happen, which I could grab me again. By the race pulled also the problem that the air pressure in the rear wasn’t right and I couldn’t took the braking points from the warm-up. I braked a few times too late and lost a lot of time. The final score was then rank 7 for me. Nevertheless, I was able to go quicker by more than 1 second than I was running in Qualifying. I was very happy and the times difference among the top people wasn’t too large. So I was very confident for the second race and wanted to make it better. I did this with a very good start and a good rhythm in the first two laps. However, I went at this time slower than in race 1 and I didn’t want to lose touch with the leading people. I hung behind a opponent and put him cope me. Then a mishap: I lost the front in the slowest turn (one of 3 left turn) and crashed. A following guy behind me couldn’t avoid it and rode me in my back. Luckily nothing further happened and the motorcycle didn’t take much damage. Despite these end of the weekend I’m confident that I can lay a good speed on the day and I still can go faster, but that is with a few more laps with the tires and the BMW will bring. My next race will be an absolute highlight: The race at the Frohburger Dreieck before more than 20.000 spectators and very good starter fields. It takes place from 26th to 27th September and I would be glad about everyone I can welcome there. So, keep the date free and see motorcycle racing to touch! From 24.07. to 26.07. the DRC hosted on the Schleizer Dreieck for the German TT. So it was my home race. The starting fields were full until well filled in all classes. In my class, a total of 36 riders were at the start. Previously we disputed a little test in Most, which went quite positive. On Friday, however, were the first practice sessions and we tried something on the chassis. This worked quite well so far. Saturday was the Qualiday, but it turned out to be this tricky. Violent gusts of wind made it for all pilots not easy to catch the braking points good and the change in direction was anything but easy. Nevertheless, I could put my BMW on 6th in the startinggrid. Of course for the race I wanted to move up. I did this even, after the first race was interrupted once and restarted. I finished 5th through’s target after I had to ride out the bad start. In Race 2 there was a heavy crash at the fastest part of the track. Because of the race was stopped immediately (the fall occurred in the first round) and restarted later than shortened race. I got off to a better start this time and was fighting for 1st position. I managed this, but I had to give up the position again, due to lapped riders. I tried again everything to overtake him, unfortunately the other rider won the race by 0.1 seconds. The actual first rider, a guest rider from the IDM, was not entitled to points. At this point again a big thank you to all the supporters, sponsors, friends, photographers, mechanics and to my parents for the weekend! The next race takes place on the Hockenheimring on the last weekend of August. In the meantime, I will again get on the bike and take a test. Photos for the weekend you’ll find » HERE «. The next race of the DRC will be held on the Hockenheimring. ride active since 8 years Motorbike sports and that national and international. 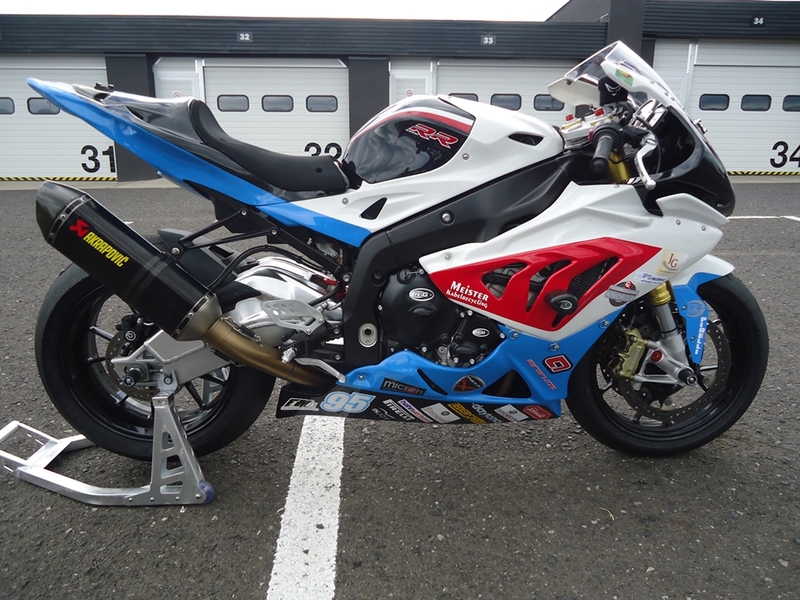 2019 I ride with a Triumph Daytona 675 R in the Triumph Challenge.